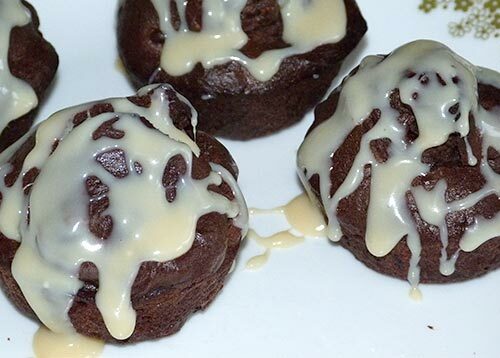 Here is an amazing chocolate muffin recipe from Carol Fenster’s book “100 Best Gluten-Free Recipes”. 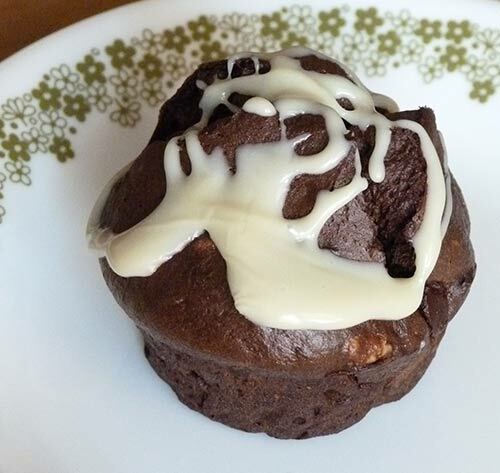 It’s a chocolate muffin with chocolate chips and white chocolate drizzled over the top. I could hardly believe these muffins were gluten-free! In the book, it says this recipe makes 12 muffins, but I got 19. Be careful eating these – they are very addictive! 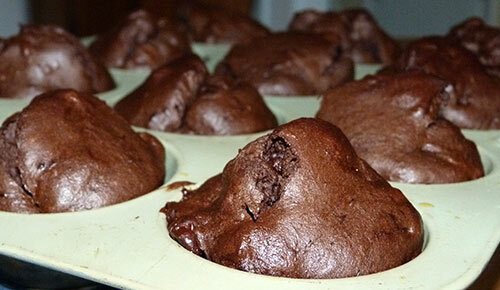 Preheat the oven to 375º F. Grease muffin pan cups or line with paper liners. 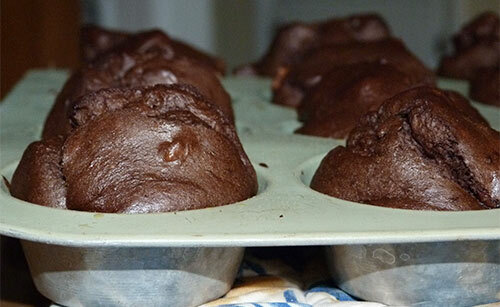 To make the muffins: Beat the eggs with an electric mixer on low speed 30 seconds. Add milk, oil, and vanilla and continue beating on low speed until just blended. Eggs, milk, oil and vanilla mixed together. 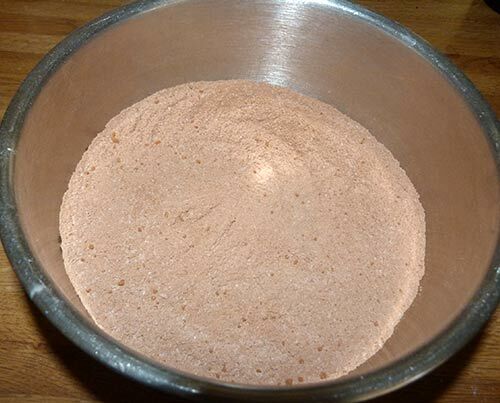 In a small bowl, whisk together the sorghum blend, sugar, cocoa, xanthan gum, baking soda and salt. 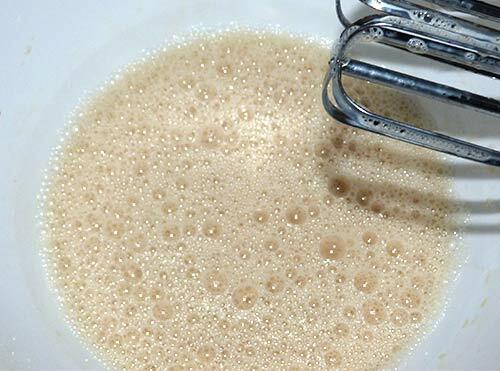 Gradually beat the flour mixture into the liquid ingredients until the batter is smooth and slightly thickened, about 1 to 2 minutes. The batter is smooth and creamy. Stir in the chocolate chips and almonds. 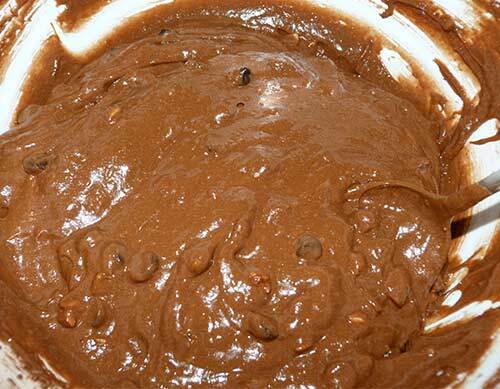 The nuts and chocolate chips added to the batter. 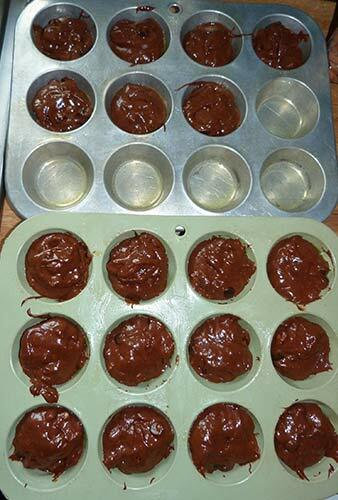 Divide the batter evenly in the muffin pan. I got 19 muffins out of this recipe. Bake 20 to 25 minutes on a rack in the middle of the oven until the muffin tops are firm, or until a toothpick inserted into the center of the muffin comes out clean. Let the muffins cool in the pan for 10 minutes, then take them out to cool another 5 minutes. The muffins rose quite a bit during baking. 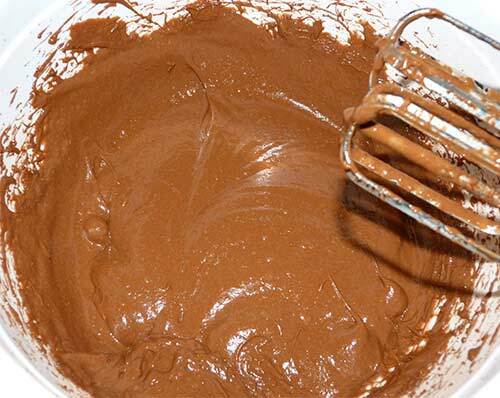 To make the drizzle: Combine melted white chocolate and 1 tablespoon of milk to make a thin smooth frosting. Add more milk a little at a time if needed. Drizzle the white chocolate mixture over the tops of the muffins. 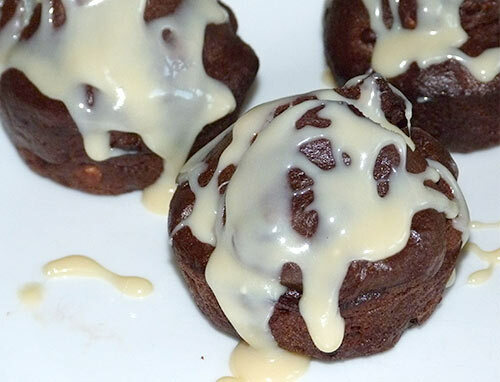 White chocolate drizzled over the tops – yum! You can’t go wrong with triple the chocolate! 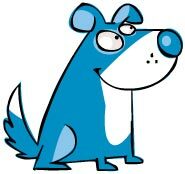 A stranger is just a friend waiting to be sniffed!